Consultation : I want to bring some improvement in my daily lifestyle with the help of exercise and healthy food. Lifestyle and daily routine affect our health. Healthy lifestyle can be obtained through physical activity and healthy nutrition. • Start to walk with 5-10 minutes and work up to 30 minutes a day. • Instead of asking someone to bring you anything, get it yourself. • Keep exercise equipment repaired and use it! We don’t always need high-intensity exercise to improve our health. 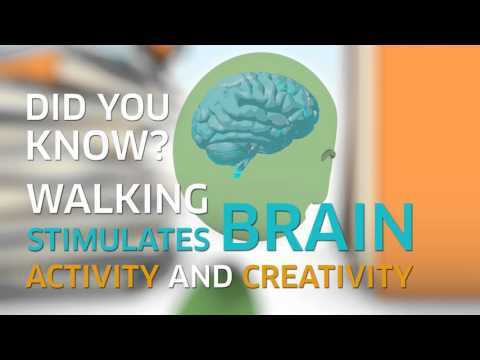 Increasing the amount of moderate physical activity (like walking) has perfect health benefits. Start with simple, everyday activities that are easy for you to do. Refer to this nice article '4 Steps Towards Active Life for Adults' for more info. From the nutrition side, the goal of healthy eating is to develop a diet that you can maintain for life, not just a few weeks or months, or until you've hit your ideal weight . Eating healthy is about is not about strict dietary limitations, or depriving yourself of the foods you love. It’s about feeling great and having more energy. It means eating far less of the unhealthy stuff (refined sugar, saturated fat, for example) and replacing it with the healthy (such as fresh fruit and vegetables). But it doesn't mean eliminating the foods you love; you can have them once a week for example. Start slow and make changes to your eating habits over time. Make small steps, like adding a salad (full of different color vegetables) to your diet once a day or switching from bad fats such as butter to good fats such as olive oil. Think smaller portions, use smaller plates. Take time to chew your food and enjoy mealtimes. Chew your food slowly. Moreover, a healthy breakfast, and eating small, healthy meals throughout the day (rather than the standard three large meals) keeps your energy up and your metabolism going. Limit sugar and salt intake. Don’t forget water intake through the day. To keep yourself the healthy balance diet, include all food groups in your meal in moderate or small quantities and in good qualities.